One of the most common questions from first-time visitors to Niseko is, can you drink the tap water? Short answer: of course. In fact, we recommend you try it! Water in Niseko is sourced from springs either straight off the mountain or from directly under it. Ample rainfall (powder snow for 5 months of the year) and protected National Park status for many of the local mountains means very little gets in between yourself and water fresh out of the sky. Mt Yotei (the majestic volcano half the size of Mt Fuji, a famous and beloved natural landmark) is home to ground wells and reservoirs that supply Niseko’s main village, Hirafu. 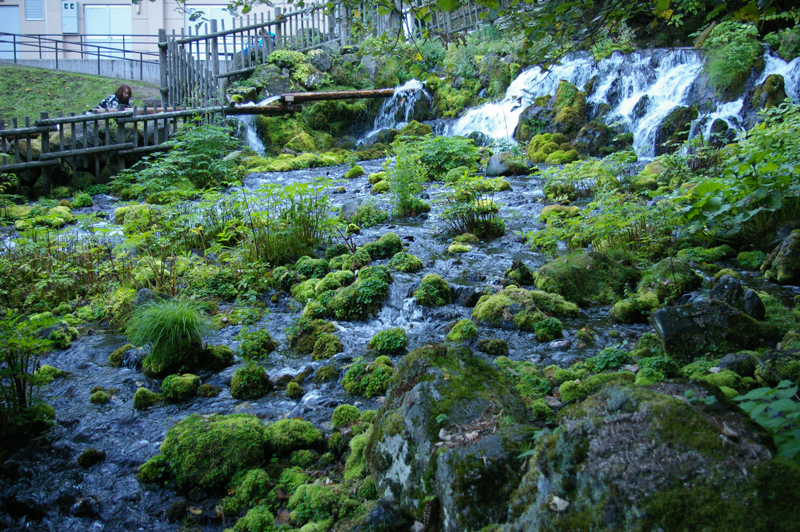 Hirafu’s traditional source of water, this unnamed mountain spring is made up of pure snowmelt and runs off the back of the Annupuri mountain range. It has been serving the Yamada area (modern-day Hirafu village) since the water rights for it were acquired in 1970. 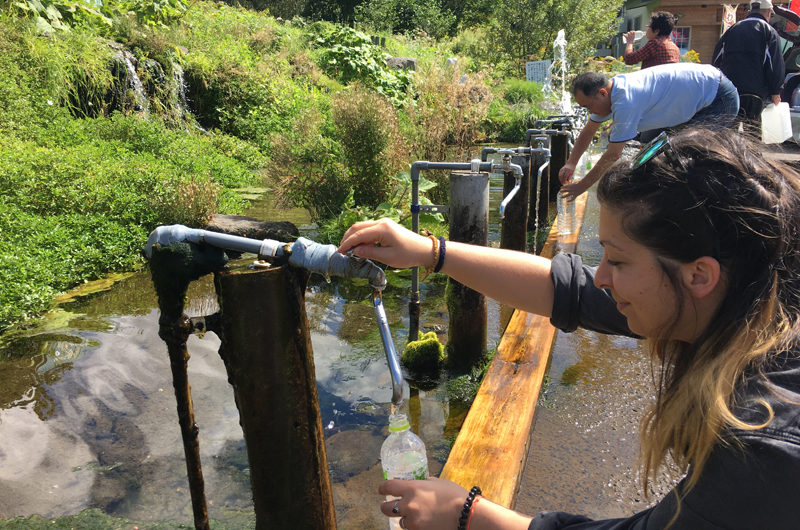 As Hirafu boomed in the 1980s and demand for water outstripped what mountain spring water could provide, two wells were bored at the west side of Mt Yotei. These ground wells tap Mt Yotei’s natural underground reservoirs and provide a total of 2530 cubic metres per day to the denizens of Hirafu. That’s a solid 2,925 cubic metres is aimed square at the taps and showers of Hirafu. So if you’re not sure, ask your hotelier for reassurance – they’ll tell you to go ahead and help yourself to the tap water. If you ever go whitewater rafting in Niseko your guides will be taking you down the Shiribetsu River. This gorgeous waterway springs from mountains near Shikotsuko lake, snakes its way through the rice and potato fields around the north side of Mt Yotei and westward to the bay of Iwanai and the Sea of Japan. The Shiribetsu river is designated a “Class A River” – a label that applies to 109 of Japan’s largest, most significant waterways with a catchment volume over 1,000 KiloLitres. 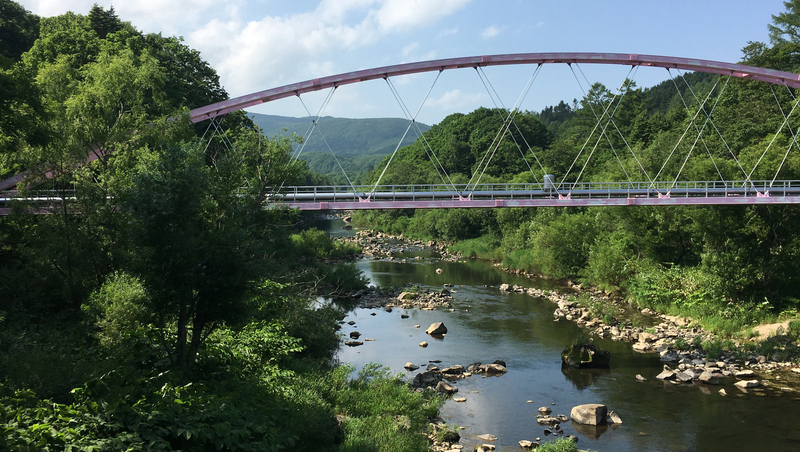 The Ministry of Land, Infrastructure, Transport and Tourism in Japan regularly checks and ranks these rivers for health and cleanliness, and Shiribetsu River has ranked in the top 5 cleanest rivers a total of 11 times over the last 15 years. It’s still breaking the charts, too – most recent available figures (from 2015) list it as the cleanest waterway amongst all 109 of Japan’s major waterways. Not bad amongst stiff competition in a nation blessed with a myriad of mountains and ample rain! If the cleanest water you’ve ever drunk is sold in plastic bottles, Niseko has a surprise for you. Go for a drive around Mt Yotei and you’ll spot several water-themed landmarks where mineral-rich, pure springwater water bubbles forth. Flocks of local residents and Japanese tourists are a daily sight, filling cars and trucks up with big plastic tanks full of spring water to take back home. The spring water is believed to be good for your health, great for your cooking and of course vital for distilling the purest alcohol. It is often said that the the best whiskey, liquor and beer requires the purest water – when people say that, this is the stuff they’re talking about, pure mountain spring water, mineral-rich and ice cold straight out of the ground. If you have an afternoon, are fed up with skiing and want to explore what the area has to offer then a spring water and hot spring tour around Yotei is definitely a must. Whether swimming in it, filling your water tank or just having a glass of water straight out of the tap, Niseko’s water is something pure and pristine, yours to enjoy. Fukidashi Park, Kyogoku Village: an extensive, lush park with a freshwater pond, gardens, forests and fountains to enjoy. You can try and collect springwater at beautiful fountains, there’s also food and coffee stalls around to enjoy. 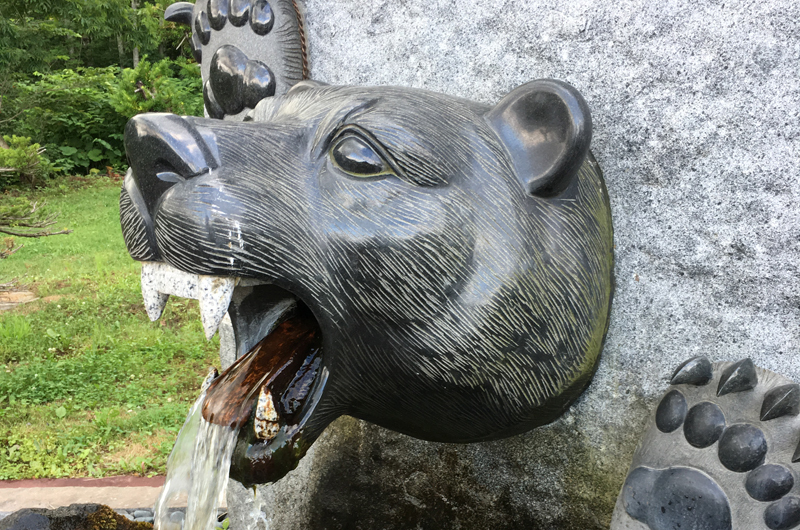 Gonta “Bear Fountain”, Kabayama: You’ll need snowshoes to access this fountain in the winter! Hidden down a side road near Niseko Robata Naniwatei, Gonta is famous for the bear head from which fresh springwater sprouts forth. This is a great photo spot for both Mt Yotei and Mt Annupuri, with only farmland and forest in the foreground. Springwater Fountain and Tofu Factory, Makkari: collect fresh spring water, purchase local produce at the store, or try fresh-made tofu at the famous Tofu Factory – with free samples of over 30 different flavours to try each day. 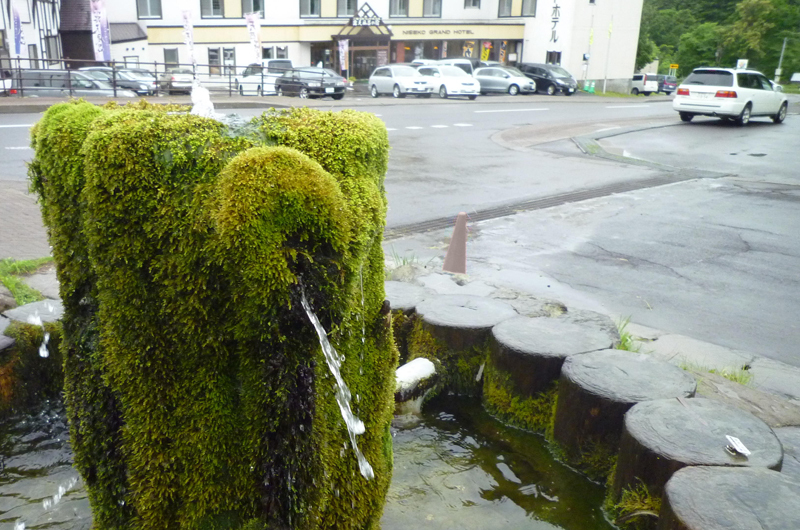 Niseko Meisui Kanrosui Water Fountain, Niseko: A humble water tap serving up the freshest spring water. Nearby are two special onsens: Niseko Grand Hotel has one of Niseko’s last remaining mix-gender hot spring baths, and hidden gem Koikawa Onsen lets you bathe overlooking a small waterfall.